My wife sent me a link today for a Casio Point and Shoot camera event in Taiwan, its basically promoting the camera’s “Makeup Function”, which of course means to make the girls look like they have great makeup on in every photo. According to the product description, it uses the facial recognition function to make the skin look smoother and can soften the shadows caused by sunlight. It’s a little irritating to hear her raving about a little P&S after I just spent a grip on the Canon 7D as her early Christmas gift. However, she did point out one undeniable fact… Not all girls can use SLRs on a daily basis, and obviously it can’t be carried to clubs and all girls events and such. Also, you can preview the result before you shoot! 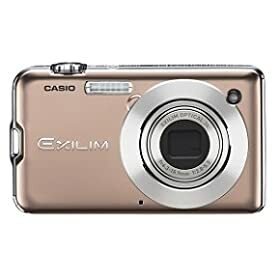 So to all the ladies out there, if you’re looking for a compact Point and Shoot, why not consider the Casio Exilim EX-S12, they come in 4 different colors: Silver, Black, Green and Pink for under $200, all on sale at my favorite etailer. Now until Nov. 28, 2009, you can even get an instant $30 discount!! !